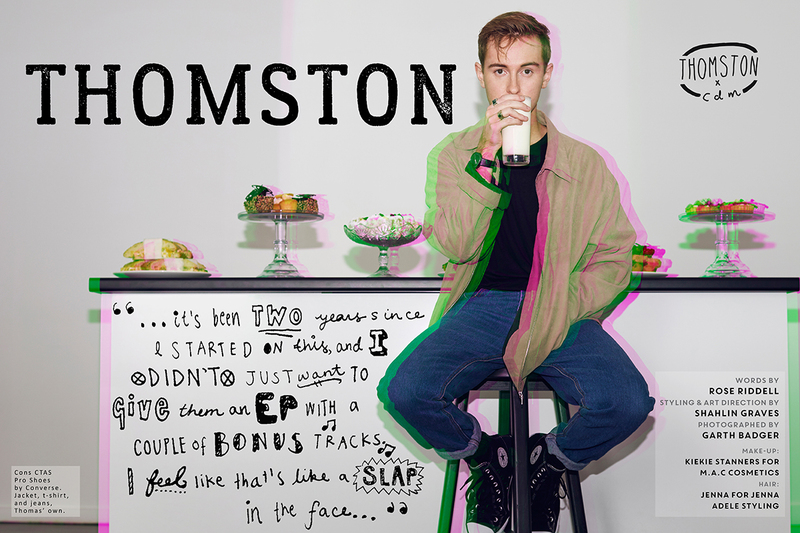 Interview: Thomston on his debut album, 'Topograph'. Any artist’s debut album is a bold statement about who they are as an artist, and New Zealander Thomston’s debut LP, ‘Topograph’, exemplifies this in full. His sonic progression has turned into more of a pop sensibility, with latest single ‘Rocketfuel’ a total highlight from the album. The album tells the chronological story of Thomas’ life up until this point in time, with love, loss, and friendship being key themes throughout. "...it’s been two years since I started on this, and I didn’t just want to give them an EP with a couple of bonus tracks. I feel like that’s like a slap in the face..."
CDM: I love that it’s a pop album, but there’s a preface in ‘Survey’. It’s very Frank Ocean of you. What informed that decision, and can you explain the significance of ‘Survey’? THOMSTON: Thank you. The idea behind it was that it was kinda going to be like-- in orchestral pieces there’s the overture and they combine a bunch of the themes that are later explored in depth, later on in the piece. I kinda thought it would be cool to do that in the context of a pop album. So, ‘Preface’ has like four songs kind of woven into it. It’s got... I’m humming a melody from ‘Rocketfuel’, I’m playing the lead-line from ‘Float’, the lead-line from a song called ‘The Outskirts’, and then it’s the chords from ‘The Shortchange’. CDM: ‘Topograph’ features a lot of never before heard songs. It seems to be quite common for musicians nowadays to just add an EP to make up half an album. Was it important to you for the album to be mostly new material? THOMSTON: Yeah. I feel like with a debut, I think a lot of people are like, "It’s not important to, because it’s gonna be your first statement, it’s not as important to give the fans new stuff because it’s your first statement, so you’re trying to reach more people and make more fans, so to the people who are new fans anyway, everything’s new." But I don’t like that idea, because I feel like it kinda does a disservice to the people that have been following you from the beginning. And it’s like, I mean it’s been two years since I started on this, and I didn’t just want to give them an EP with a couple of bonus tracks. I feel like that’s like a slap in the face to them. CDM: ‘Rocketfuel’ is the poppiest you’ve ever gone before, and I love it. Have you been conscious of the sonic progression that you’ve made into a more straightforward pop sensibility? THOMSTON: Absolutely. I feel like, for me, it’s just I have this predisposition to shying away from pop music for myself when I’m making music. There will be melodies I go to, and I’m like, “Oh no, that’s too pop,” and there will be lyrics, and I’ll be like, “That’s too straightforward pop.” But the thing is, I love straightforward pop, and I listen to straightforward pop. And I love songs on the radio that are, no doubt about it, pop songs - so the idea, for me, it’s just been trying to break that down and make music that I would enjoy listening to. CDM: There’s a perceived cool factor that comes with not making pop music, but I kinda feel like that’s changing? CDM: What songs on your album did you self-produce? CDM: Do you have a special connection to those particular songs? THOMSTON: Yeah, I think so. But then, at the same time because I was there for the entire process, even when it wasn’t me at the reigns completely producing it myself, I still feel really connected to the songs. CDM: You’ve become more involved with production in your music. What’s the most important thing you’ve learnt about music production along the way? THOMSTON: In production? Oh that’s a good question. Maybe, it’s to start with... to not get hung up on a sound that you don’t like, because you can change it. And you can do a million things to it to make it sound different. And I feel like I would look for a synth, and I would spend hours looking for a single synth or a single snare sound, trying to find the perfect sound that had nothing done to it. And then it would take me so long and I’d get so frustrated. And then, I just realised, “Oh wait, I can put plugins on it and I can make a sound that doesn’t sound that great sound really good." So, that’s probably been the most important. Saves me time. CDM: ‘Birthmark’ is beautiful, it’s such a relatable sentiment about missing someone. Do you think it’s better to have loved and lost, than to never have loved at all? THOMSTON: Oh, whoah, getting deep. What day is it? Tuesday? Getting deep on a Tuesday. Yeah, absolutely. I think that the song initially kinda started as a really kind of broad relationship song. But it’s kind of, to me, taken on this idea of someone like passing away even, or just being completely removed from your life. You know you’re never going to see them again, and just starting to feel that void of when you start forgetting about them and you’re no longer missing them, and how that kind of... something that kind of consumed you at one point is fading away, and that’s kind of sad because it means it’s really final. CDM: It’s weird to think about that, because with social media now you can never really escape someone. CDM: You shared the fact that you wrote a new song that rhymes with the word orange. Please share how you made that happen. THOMSTON: I did a Sia-ism, and that’s where you just like, change the stress of the vowels to make it rhyme. And it doesn’t matter what word you use, you can make it rhyme. Anything can rhyme with orange, but I specifically used the word courage. Yeah, I have the courage to use orange as my go-to word of choice. CDM: There’s an audio recording at the end of ‘The Outskirts’, it kinda just sounds like some talking. Can you tell me about it? THOMSTON: Okay, so I wanted, the song ‘Broken Skin’, the one that’s after ‘The Outskirts’, is just about being in the car, like it’s set in the car, and I wanted to transition to that. So I, while we were getting dinner, Josh Fountain - who I recorded most of the album with - and I were driving in my car. I pulled out my phone, gave it to him because I’m responsible, and he recorded a voice-memo, and we were just chatting, trying to get the sound of the car and just like quiet voices. But, I’m not gonna tell you what I say. You won’t be able to tell anyway. It’s funny. It’s an easter egg. If anyone can figure it out, then... I want it to be like The Beatles, when they reversed the end of, was it ‘Strawberry Fields Forever’? And it’s like, “I buried Paul.” Like, I want people to do that to my songs. I want them to reverse and be like, “What is he saying?” That’s the level of commitment I want from this. CDM: “My heart was soft to touch,” you sing in ‘Heart Is Cement’, before going on to say that your “heart is cement.” How do you think love and heartbreak, changes a person? THOMSTON: I think it can make you less trusting, and more guarded, and just a bit more pessimistic and cynical. The idea of ‘Heart Is Cement’ is, about being hurt when you’re vulnerable and as a result, shutting off to avoid feeling anything. And that’s very deep and very sad. 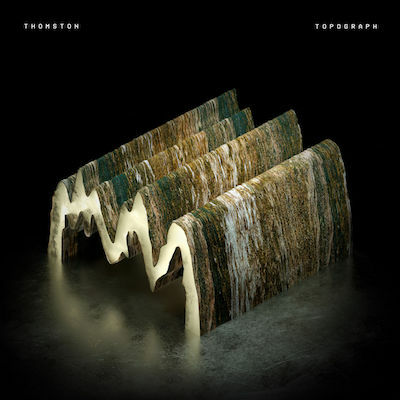 Thomston’s debut album ‘Topograph’ is out now - click here to purchase. MusicListen: Foley’s new single, 'Talk About It'.